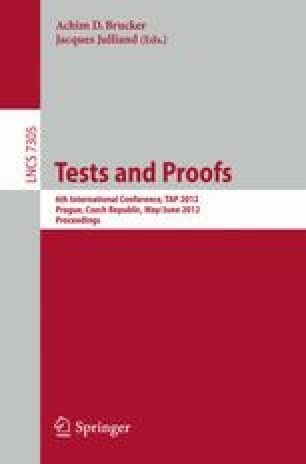 This paper discusses the relationship between tests and proofs with focus on a tool for UML and OCL models. Tests are thought of as UML object diagrams and theorems or properties which are to be checked are represented as OCL constraints, i.e., class invariants or operation pre- and postconditions. The paper shows for the UML and OCL tool USE (UML-based Specification Environment) how to trace and debug the validity of an expected theorem (an OCL constraint) within a given test case (a state model in the form of a UML object diagram).